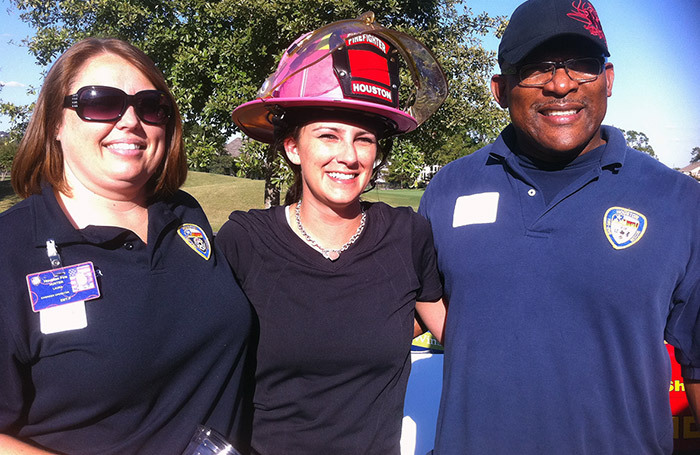 Charities and Community Involvement | Texas Floor Covering, Inc.
Vice President Michelle Hatton with Houston Firefighters at the Houston BOMA Golf Classic, benefitting the Houston Police Department and the Houston Fire Department. We are also fiercely passionate about those who risk their lives to serve others. Our financial support to charities and events supporting those brave men and women is only a small token of our appreciation. Last, but not least, we can't forget our four-legged friends. At Texas Floor Covering, Inc., dogs are very close to our hearts, and Corridor Rescue is a charity we love for their dedication to rescuing, rehabilitating and caring for stray dogs. 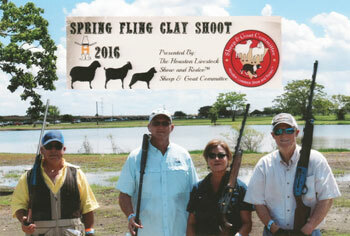 Texas Floor Covering took 2nd Place at the 2016 Spring Fling Clay Shoot, benefiting the Houston Livestock Show and Rodeo. We enjoy being active in our community by participating in local fundraising events throughout the year. Raising money and awareness for great causes at events such as golf tournaments, clay shoots, mud runs and various mixers is something we proudly take part in. It is a priority each holiday season to make time to serve by volunteering our time and lending an extra hand to charities like the Bear Organization, by wrapping presents for the kids and picking gifts to buy off the CPS Wishing Tree. We are happy to do so, because giving is the true meaning of the holiday season. Charitable contribution is a core business practice. Part of our mission is to give back, as we believe our blessings are bestowed upon us so that we may bless others. Deuteronomy 16:17 "Every man shall give as he is able, according to the blessing of the LORD your God which He has given you."